Have you ever thought about RV living with kids? 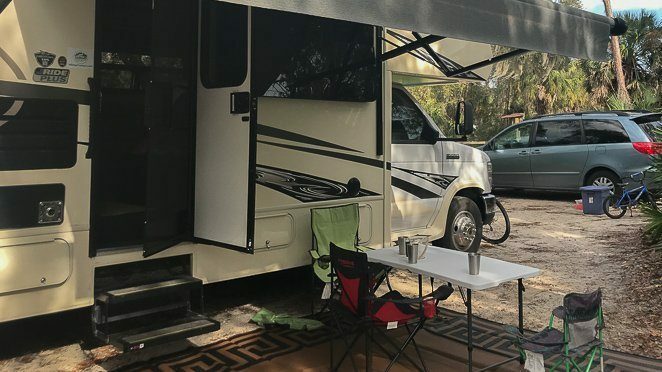 We came up with 15 reasons why we think that RV living is an easier way to travel with children. 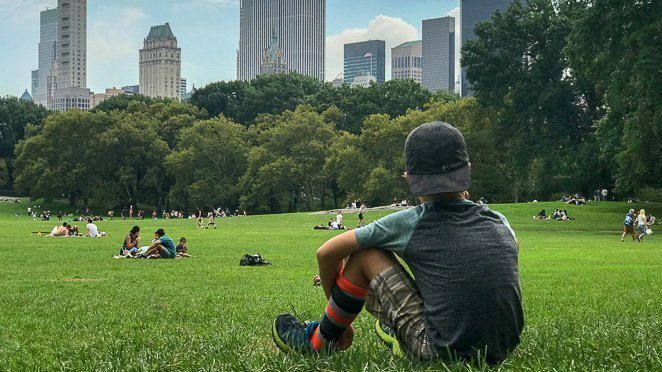 We just spent 2 days in NYC with our 4 kids ages nine and under trying to keep everyone happy and safe while seeing the sights and exploring one of my BIG bucket list destinations. It was hard! Yet, I’m so glad that we did it. This weekend was stressful and we ended it a bit early because we were all very exhausted. As a rule, our family usually only spends half a day out exploring the sights. Our limits are often met and we are all ready for some ‘down-time’ to decompress and relax. Well, when we only had 2 days in NYC, we didn’t have much chance for down time. Tony and I discussed what life would be like if we only traveled by airplane and stayed in hotels full time with the kids. We both feel such extreme wanderlust and love visiting new destinations, yet could we handle the stress and lack of down-time from living in a hotel? 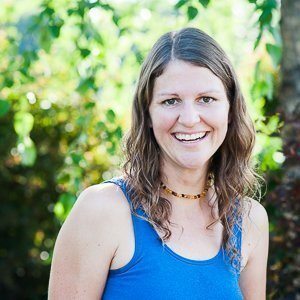 Eating out each day and not having our own vehicle? Or the lack of privacy in hotel rooms? What about our fulltime families community and friendships we make on the road? RV living provides a kitchen to make your own food! The germs in public transportation makes a parent cringe. We have our own beds each night, making for better sleep and less stress. Wonderlust is fulfilled with full-time travel experiences. Espresso machine, or coffee, at our fingertips. We can stay in one place to visit extensively and take it slow rather than cram in the sights in 2 days. It’s a ‘home-on-wheels’! It smells, looks, and feels like home each day. We travel with our OWN toilet!! One week we can be in Niagara Falls and the next Acadia National Park. We can be adventurous together, with the comfort of home each night. No need to go through airport security with kids when leaving a destination. RV living allows us opportunities to meet other families and build a community. Our kids can eat healthy, homemade meals each day. Medicine, if needed, can be kept in the refrigerator of our RV. No need to pack suitcases to travel! Full-time traveling isn’t for every family. If you have no desire to travel full-time with your kids, than flying and staying the nights in hotels for a short period of time could be less stressful knowing that you have a ‘home’ to go back to soon. I often hear parents say they feel like they need a vacation after they get back from their vacation! Traveling with children can be very stressful, fun, exciting, rewarding and exhausting. Arriving home ready to decompress is often what needed. These are the families that often reach out to us and say ‘Wow, you guys CHOOSE to travel with kids full-time?’. But NOT in the way that you think it would be. 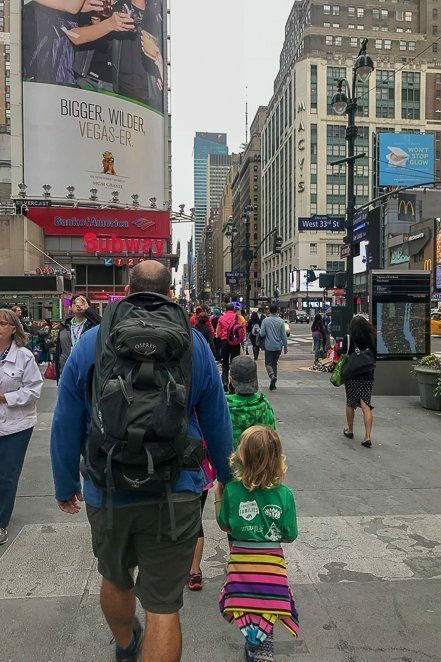 We could NOT travel with kids full-time in the same way that a family may take a vacation to a bucket list city such as NYC and see the sights, then the following week fly to Florida to visit Legoland, then the following week fly to the Grand Canyon and hike the South Rim. As an RV living and traveling family, we have a different mindset and experience. We usually arrive at destination knowing that we will not be able to see it all, and choose the top things we want to see and do. Then we spread it throughout the week and plan in that ‘down-time’ each day. 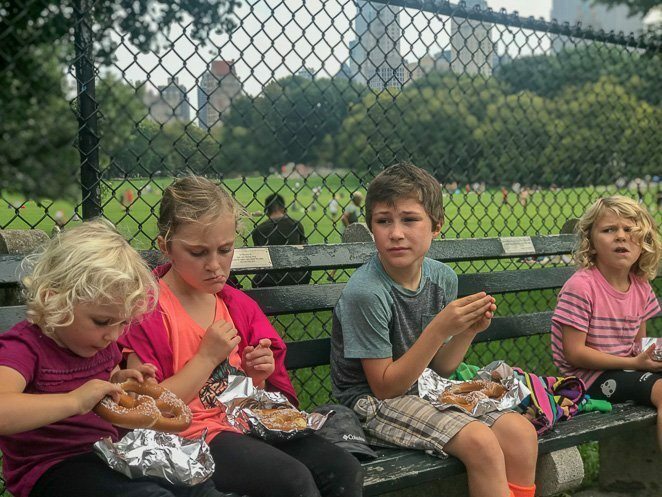 We often will plan in 1 or 2 DAYS of downtime to let the kids play at the local playground, do some reading, cooking, grocery shopping, laundry, working etc. The big key here is that we have our home to come back to each night for a regular dinner and bedtime routine. Our RV! We have our espresso machine for coffee in the morning and our van to drive us where we need to go the next day. You see, RV living is a much easier way to travel with children full-time. It may even be an easier way to travel with kids for a short vacation. Naps, meals and potty breaks are covered since you have your RV with you or nearby. 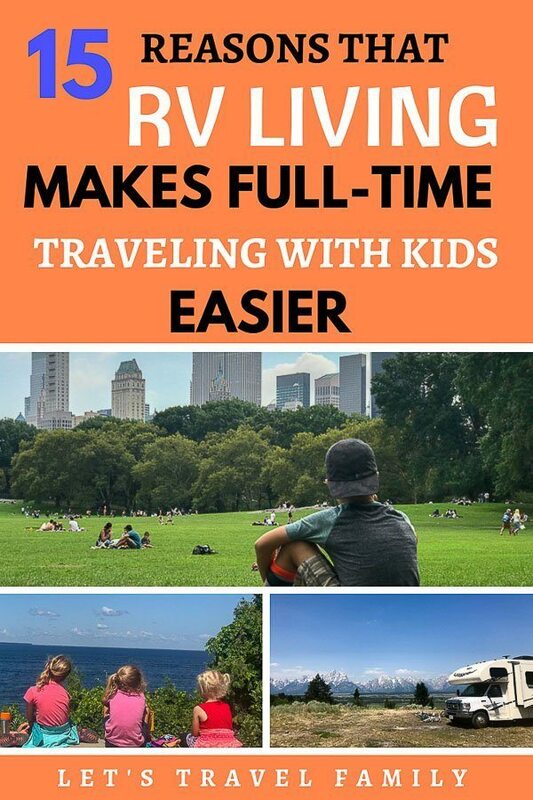 Have you ever thought about RV living or full-time traveling with kids? 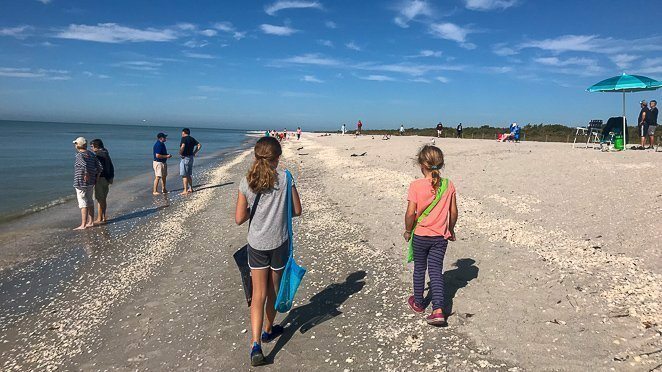 What other factors do you consider when planning a trip with kids?